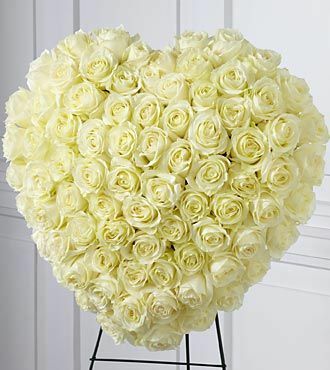 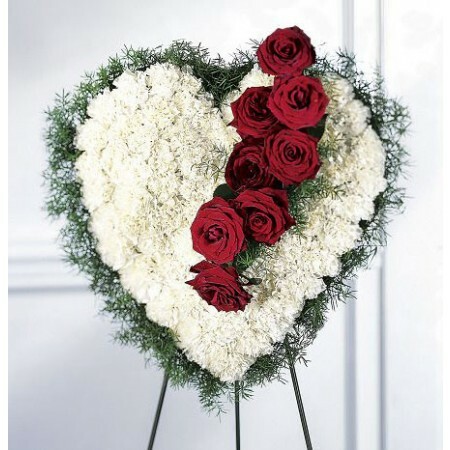 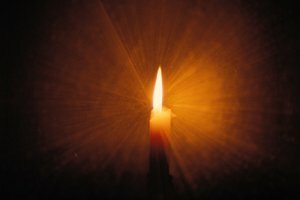 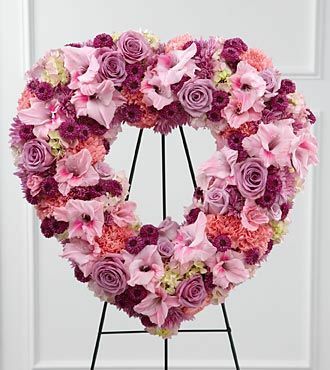 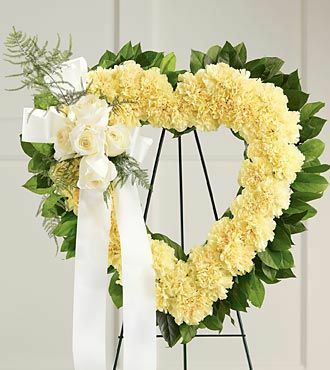 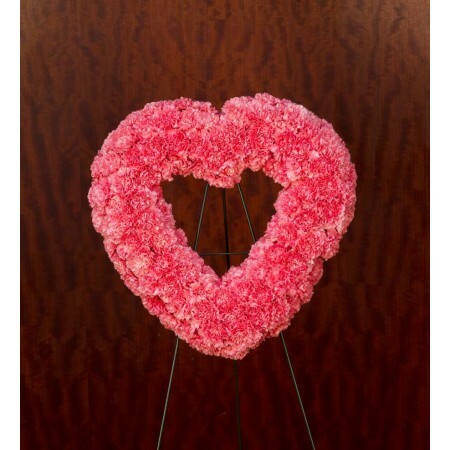 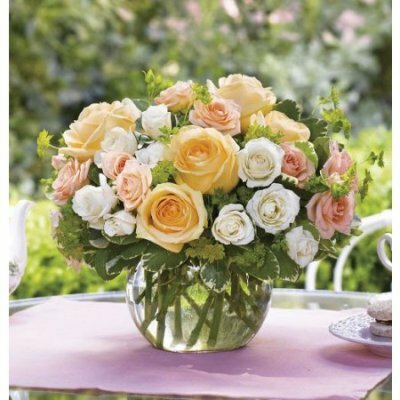 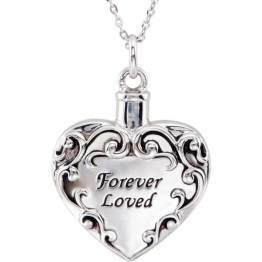 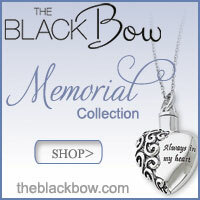 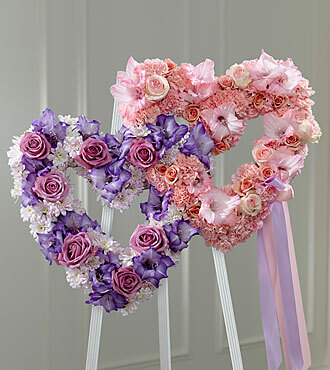 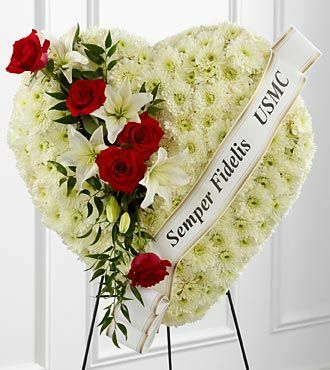 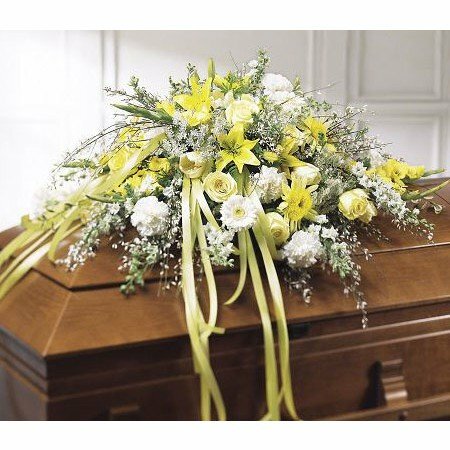 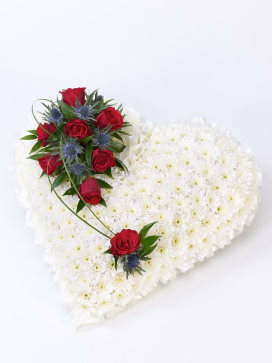 We have brought the best heart funeral flowers together from several different online suppliers so you can have the widest choice of what is available. 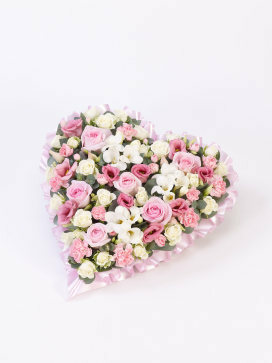 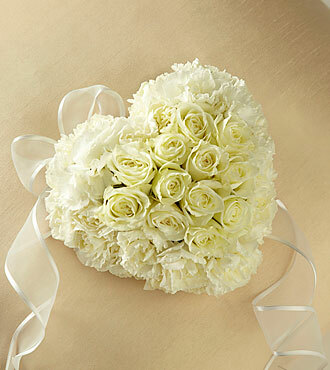 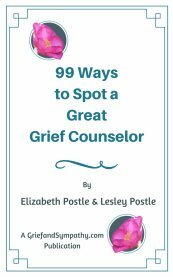 The flowers on this page are available in either the USA or UK. 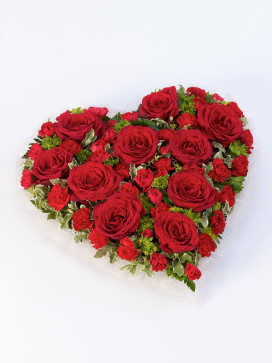 For other countries, why not show your local florist your favourite and they can make it up for you. 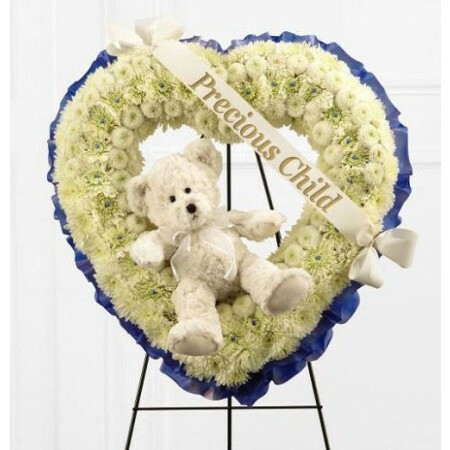 Choose from pretty pinks and creams, dramatic passionate red and white, and wreaths with teddies for children and babies.